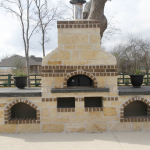 Texas Oven Co. Summer Corn in Your Wood-fired Oven - Texas Oven Co.
It’s June and the summer corn is just beginning to appear at farm stands, markets and grocery stores. 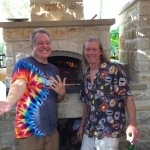 Here in Austin the local HEB grocery has some small stacks of unhusked corn, not a lot yet, but I picked up half a dozen ears at the Central Market for this blog. 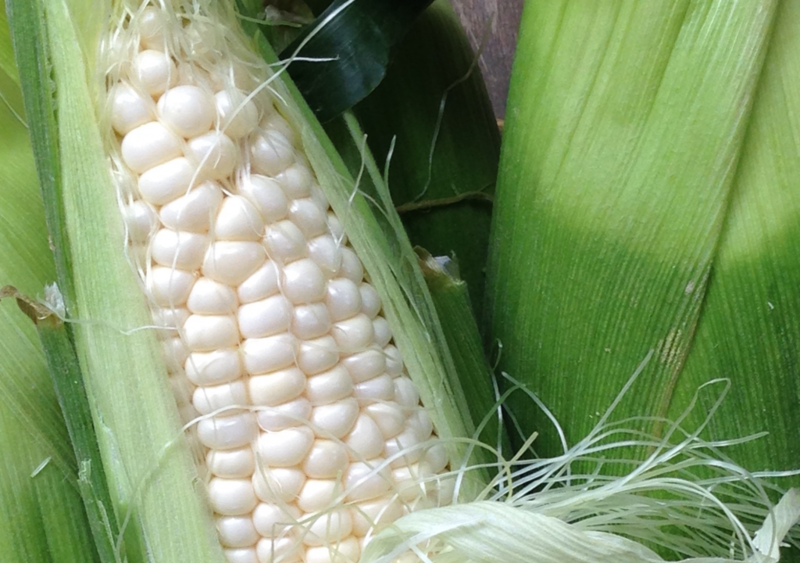 The Farmers Market schedule for central Texas states that sweet corn is available from May to August. It seems we’re a little ahead of the peak season because it’s not yet plentifully displayed at local markets. Years ago we lived close to a farmer with a big field of corn. At his farm stand we got summer corn picked just hours before we bought it. What a treat, fresh corn-on-the-cob, slathered in butter. That’s all we ate for dinner! 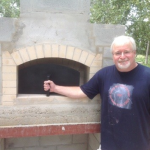 Now, decades later, I prepare summer corn in the wood-fired oven–quick, easy, with the added advantage of enhanced flavor. But what is summer corn? 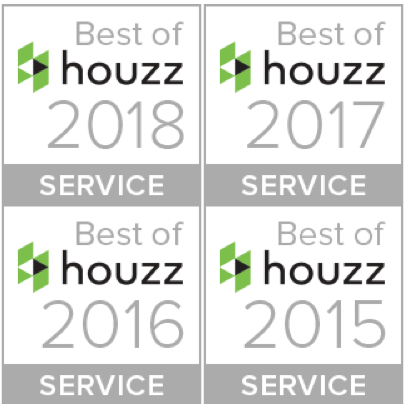 Until doing a little research for this blog, I assumed there were no disputes about the identity of corn, one of our nation’s favorite vegetables. In checking out the ten most popular vegetables in the US, corn ranks as #2. However Ranker adds the caveat, includes all fresh produce that is commonly considered to be a vegetable. It turns out that corn is sometimes considered to be a vegetable, sometimes called a grain, and sometimes even a fruit. The criteria is whether it comes from the reproductive part of a plant or the vegetative part of the plant…If it comes from the reproductive part of the plant, it’s a fruit. If it comes from the vegetative part of the plant, it’s a vegetable…Botanically speaking, corn is a caryopsis, or dry fruit — popularly known as a grain. The rule of thumb, however, is just call it by how it’s most commonly known, a vegetable, and not get hung up on it’s classification. Corn ranks high on the list of favorite vegetables, and it has and it has a good score on the nutritional side. One ear of corn on the cob has 123 calories, 5 grams of protein, 2 grams of fat, 4 grams of fiber, and 27 grams of carbs, along with vitamins B6 and C and minerals potassium, zinc, copper and magnesium. Corn is a source of antioxidants, especially carotenoids that support eye and skin health. Corn is high in fiber and is gluten-free, both qualities related to digestive health. 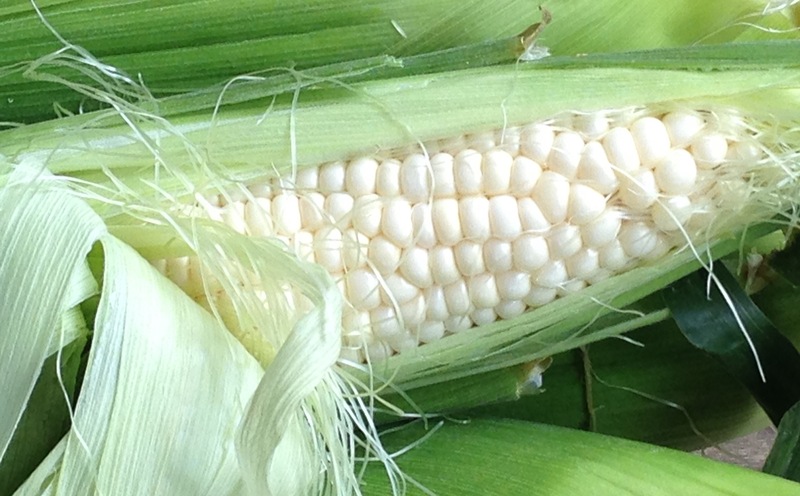 Eat or not to eat sweet summer corn? That is a good question because some forms of corn are better than others. Corn is the number one crop grown in the United States, but 88% of it is GMO, or genetically modified with built in defense mechanisms that protect the plant from disease and stress. There is concern that the defenses which enable corn to resist insects and tolerate herbicides cause human allergies and hormonal dysfunction. There’s been much research on both sides of the question, so I include this link as part of the ongoing debate. Some sources state that corn is an unhealthy grain because it is starchy and sugary. 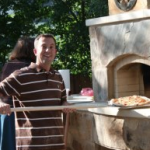 The occasional corn on the cob at the family BBQ…But corn should not make up the veggie section of your meal plate. In light of the glycemic index of today’s aggressive breeding for sugar content, I think about corn more like dessert. It’s a sweet treat to enjoy slathered in butter at peak season. Live life! Otherwise, I opt to use summer corn more as a garnish, a hit of sweetness, a contrasting texture element. It is great in salsa and as a flavor and texture addition to soup and salad. 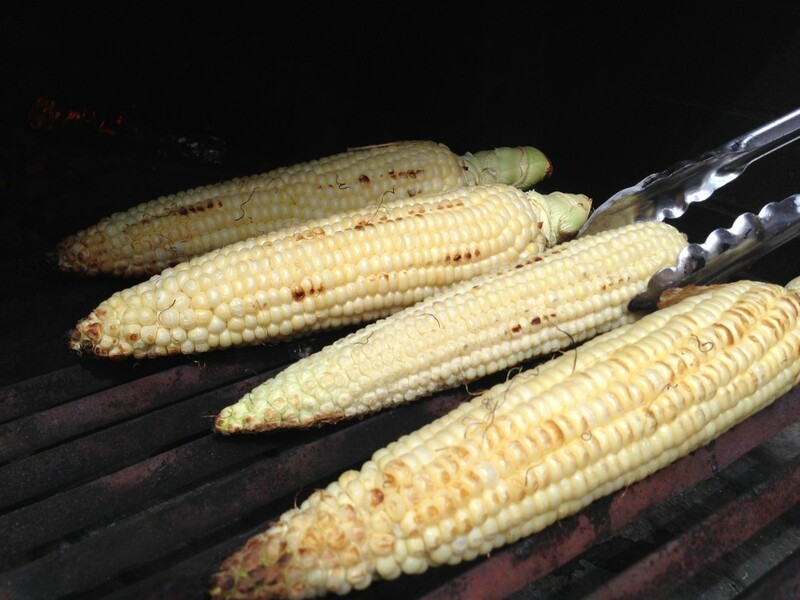 However, we don’t pass up roasting corn-on-the-cob in the wood-fired oven as a delicious summer treat. Anciently, corn was unlike anything we buy today. The corn of 4,000 years ago resembled grass with sparse kernels, low in starch and sugar. Corn has long figured in history as a traditional dietary item, known as one of the three sisters, when planted with beans and squash. The corn planted by Squanto and the Pilgrims came in many colors and had fewer rows of kernels than corn today. Now corn is genetically classified into three categories: normal sugary, enhanced sugar, and supersweet. Breeders continue to develop varieties of corn within the categories to increase sugar content, tenderness, creaminess, and vigor. 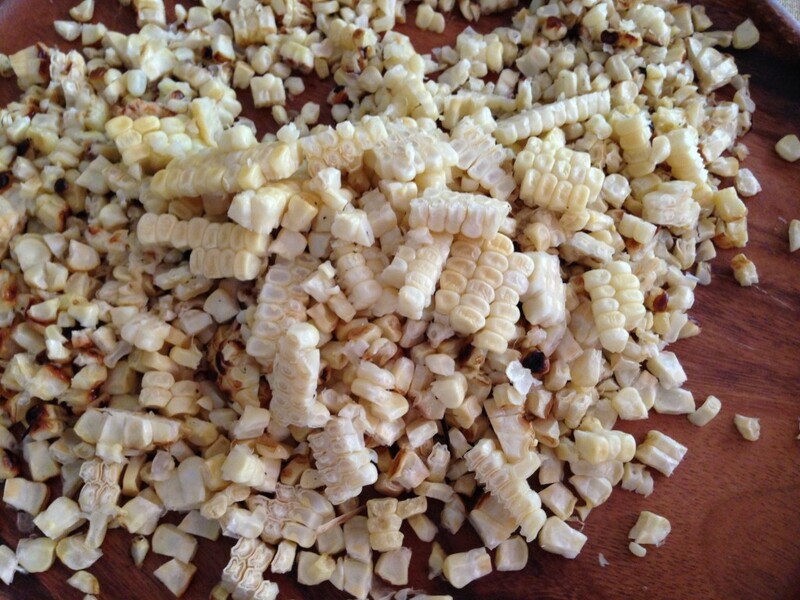 The method of preparing corn also increases its sweetness. The sugars in vegetables such as corn, potatoes, carrots, and onions break down when heated to 360-400 degrees and form different compounds that create browning and robust flavor. The flavors developed by caramelizing are said to be complex, nutty, enhanced, and that’s why even small amounts of caramelized corn add a pop to salsa, soup, and salad. 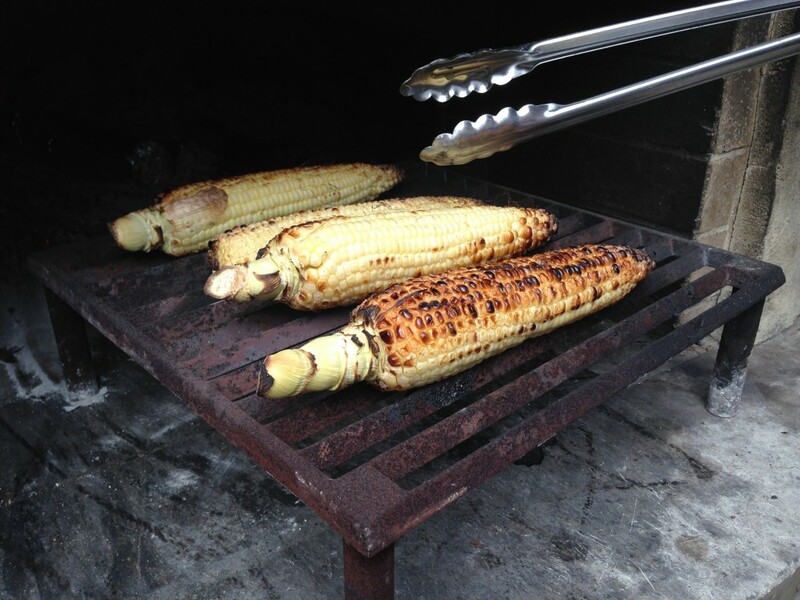 Summer corn roasted in a wood-fired oven, then cut off the cob, has the flavor of both caramelization and being cooked over wood. 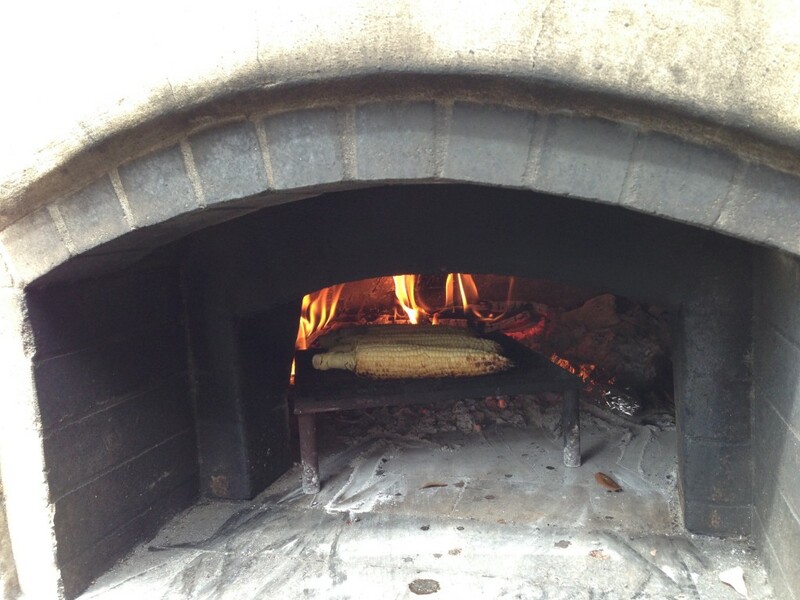 How is the best way to fix corn-on-the-cob in your wood-fired oven? Wrap it in foil? 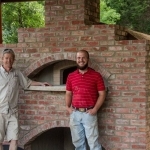 Steam it in the husk? The folks at Serious Eats have tested both ways and added a third option–grilling it naked. 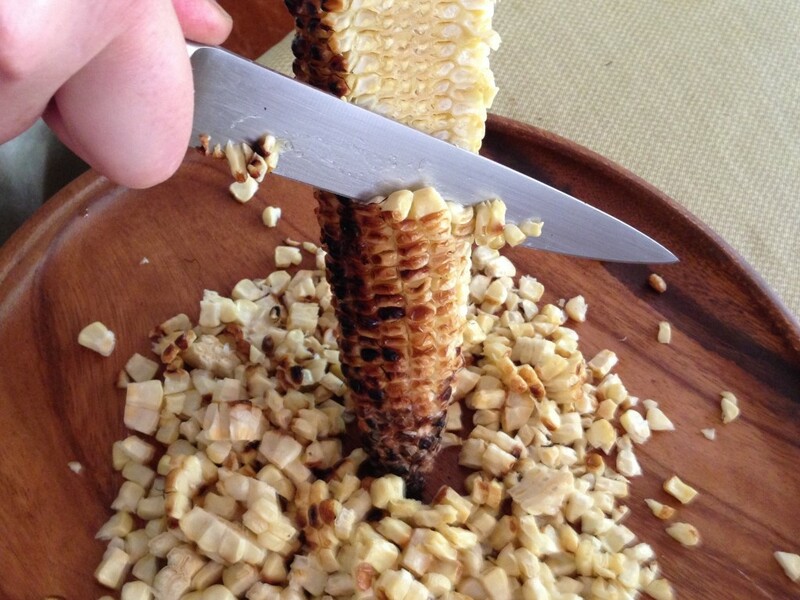 Both leaving the corn in the husk or wrapping it in foil before roasting produce delicious, juicy corn-on-the-cob. Both methods take about 15 minutes roasting time. 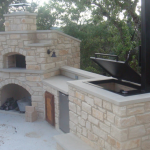 The author roasts the ears directly on the coals or on a grate over coals. All that’s left to do is to unwrap the foil or pull off the husks and roll the ears in butter. 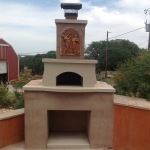 The author’s favorite method is to remove the silk and husks and roast the ears on a grate over the coals. When the corn is slightly charred and browned it’s the most flavorful of the three methods, although not as juicy as corn steamed in foil or husks. Of course roll the naked ears in butter. 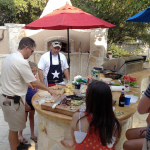 For salsas or garnishes where texture and caramelization will add to the dish, grill. 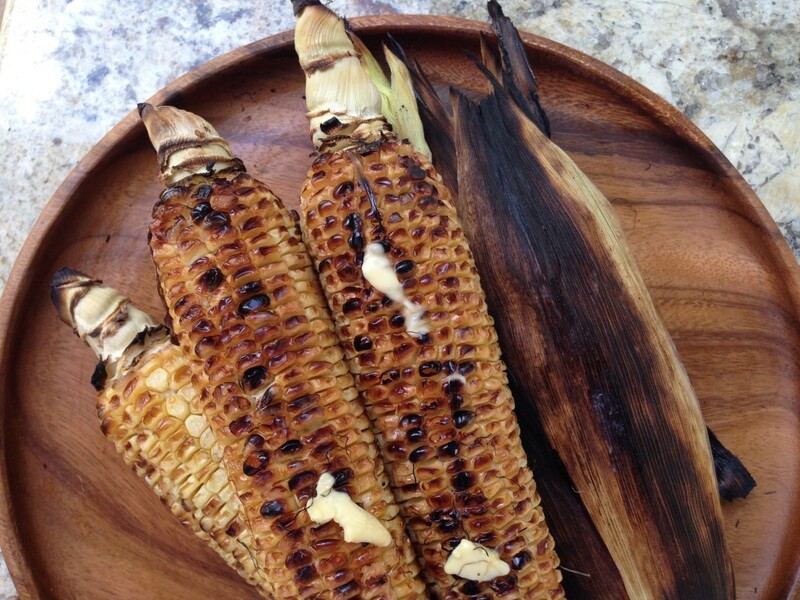 For traditional corn on the cob, wrap in foil and cook at lower heat in the coals.